Are You A Professional Photographer? The Mingle Does Not Want You At Their Events Anymore! - Ghafla! Are You A Professional Photographer? The Mingle Does Not Want You At Their Events Anymore! Ladies and gentlemen, photographers whether professional, budding or those that do so just for leisure, I have some sad news for you. 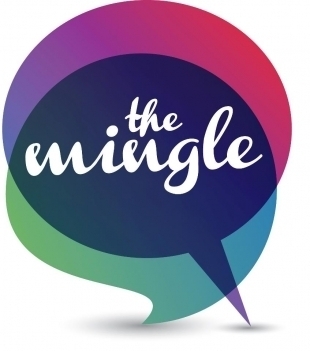 The Mingle has decided that they do not want you or your ilk at their events ever again! That means no Kevin Kemama, Kenya Nights, Eye-con, Pius Cheruiyot of Pulse Magazine, Micheal Khateli, Vibe Weekly and many more. You have all been asked, or more directly put, TOLD not to carry your cameras or photography equipment. All photographs will be taken by accredited photographers from small-time publishers such as Niaje… Oh look, only Niaje are accredited. So no photographers from big fish such as Standard Media Group or Daily Nation or The Star. Not even those of you who may only be seeking to attend and maybe capture those Kodak Moments! Only cellphone cameras are allowed in and all this is in a bid to stop people from taking pictures that expose ratchet behaviour being carried out by intoxicated patrons. i have personally commented on their page telling them that this is the epitome of folly as this approach seeks to tell people to wear bulletproof vests rather than unload the gun: It seeks to make excuses and scapegoat members of the 4th estate instead of asking the people who attend The Mingle to be responsible in their drinking. Don’t bring any professional cameras if you are not on our list of accredited press.